Due to workload and some random health issues I have been a huge slacker with my blogging but couldn’t pass this up. 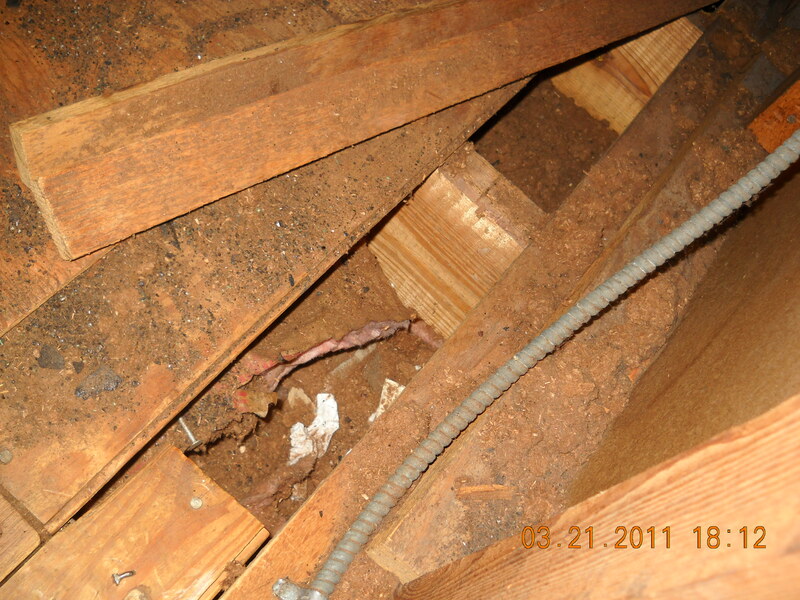 During a home inspection last evening I finished off as usual with the attic. Looking down under some floorboards I noticed something interesting. It was a plastic drink bottle stuffed with tissue. Having “heard” of such things in the past I believe I found the kids device (who are now grown and this is a very religious house mind you) for hiding the scent of smoke from the parents. I bent down and lifted up the floor boards which were loose, conveniently 😉 . 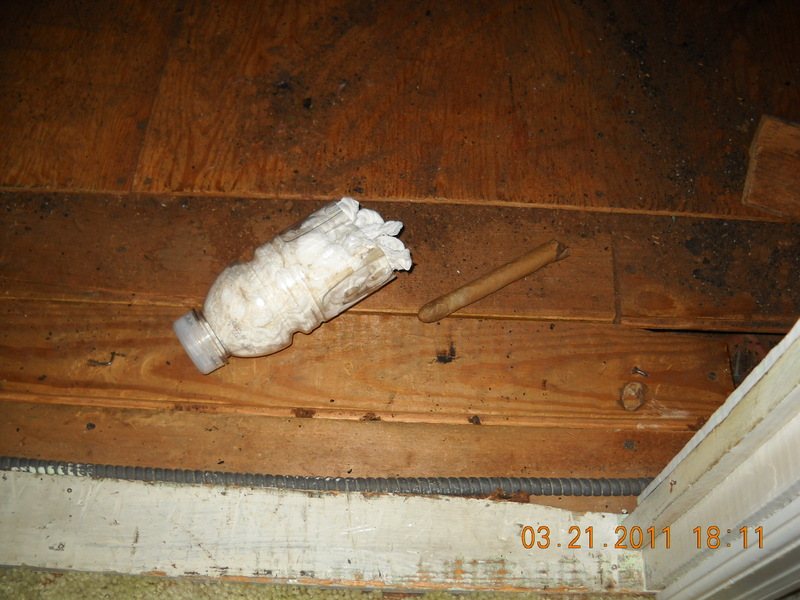 They lifted up and looking between the floor joists I could see their stash of old cigars and other misc trash. Very funny! A couple of things from their stash. I love my job, never the same thing twice. Just remember, if I’m coming to your house you might want to do a better job of hiding things. LOL! Travis, noticed you haven’t been posting recently – hope everything is OK.